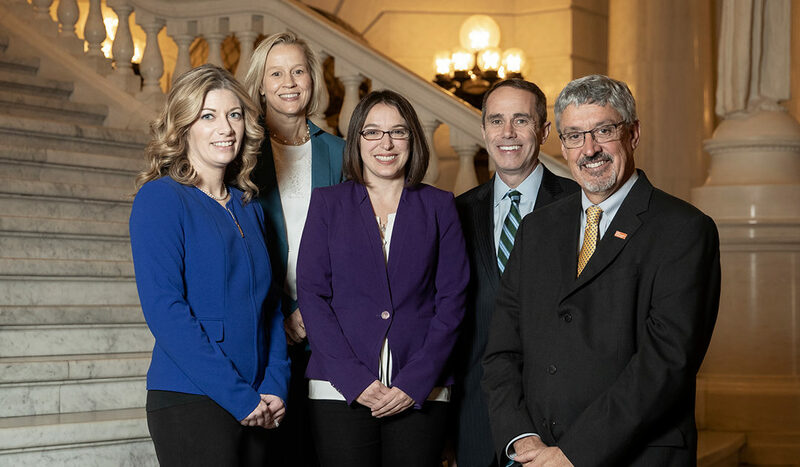 First introduced in the state House of Representatives by Rep. Leanne Krueger (D-Delaware) last session, the expanded #MeToo PA General Assembly Act seeks to add reforms to the process and procedures of addressing sexual harassment claims in the Pennsylvania legislature. Collett and Muth joined Krueger at a news conference today to support the #MeToo movement and unveil their bill. combine current settlement provisions with new provisions relating to the source of payment, personal liability of elected officials, and payment of awards. Krueger’s original legislation included the banning of non-disclosure agreements that mask the names of General Assembly members who are accused of harassment; requiring credibly accused members of the state legislature to repay any settlements that were paid with taxpayer dollars; and, requiring paid administrative leave, remote work assignments, and reimbursement for licensed counseling offered to employees during the adjudication of proceedings. The Democratic senators said that their companion legislation would protect the staff and employees of the General Assembly. Implementing these measures is long overdue, they said. Since its start in 2017, the #MeToo movement has been instrumental in raising awareness of the epidemic of sexual harassment and sexual assault. The movement has also brought to the light the lack of formal processes for victims to report sexual harassment and assault and receive the necessary protections to effectively address these issues.